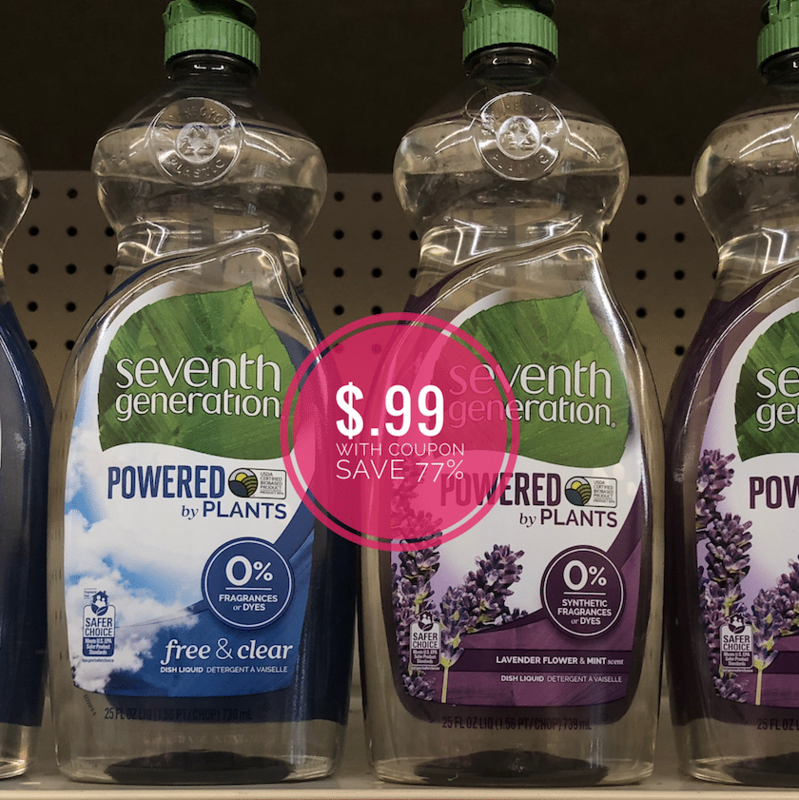 April is Earth month and as such we will see some AMAZING offers on natural, organic and plant-based products including this HOT deal on Seventh Generation Dish Soap at Safeway! 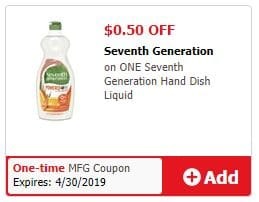 The 25 oz bottles of Seventh Generation Dish Soap are on sale for $2.49 through April 9th. 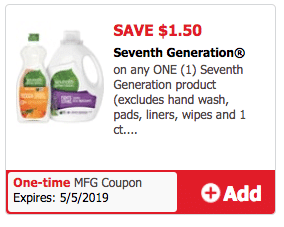 Pair this sale price with a new coupon for $1.50 off 1Seventh Generation Item and you can try the dish soap for just $.99! 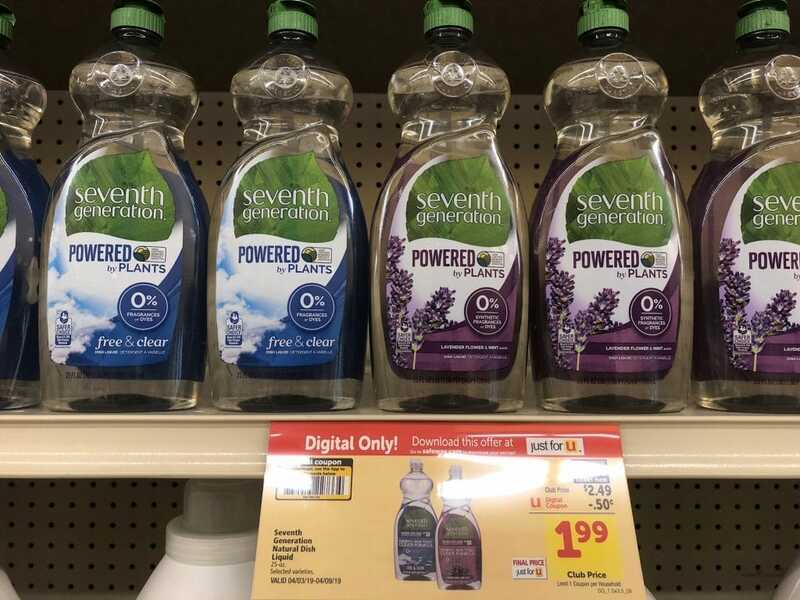 If you already love this dish soap, pick up a 2nd bottle for just $1.49 with a separate $.50 off 1 coupon that will double to $1.00 automatically at Safeway. This brand is normally $4.29 at Safeway, so you are saving 77% with the sale and coupon. Choose from Lavender Flower & Mint or Free & Clear. Final price = as low as $0.99, save up to 77%!